I wore this outfit the other day to the boyf’s house, and I really love it. 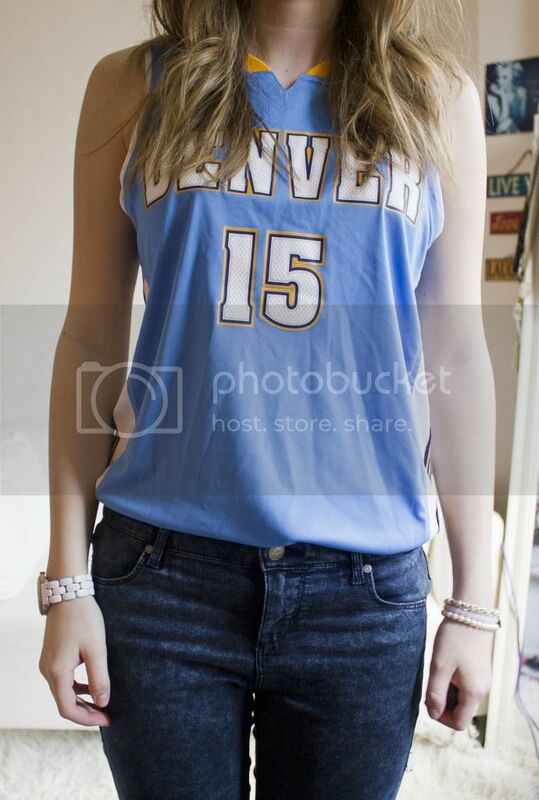 This is one of 2 basketball jerseys that the boyf got me from work for a bargainous £4.20 each! They’re boys age 12 but who cares! They fit and I love them. When I go to New York in June I really want to get a Knicks jersey too. I’m writing this post in advance so when it publishes I will be climbing through the trees for my cousin’s hen do at Go Ape. I’m really excited to do it, I did something similar when I was about 13/14 in France so hopefully this one will be just as good! I also hope the weather isn’t too bad because climbing through the trees in the pouring down rain will not be the best of fun.